The seventh art welcomes the autumn of the Basque Country for 64 years. It does so through the San Sebastian International Film Festival. From September 22 to 30, the city will be decked out for the occasion and will once again become an international cultural reference point for a week. In its 65th edition, the Argentinean actor Ricado Darín and the Italian actress Monica Bellucci, will be awarded the Donostia Prize. What is now one of the most important festivals of European cinema, was born in 1953 as an International Film Week. The success achieved in its first edition, forced him to change that modest denomination that we know today. By then, there was its great emblem: the shell. This award has achieved the symbolism of other awards such as the Golden Bear at the Berlinale or the Palm D’Or at Cannes. The city of Gipuzkoa has received, in these years, the most outstanding figures of the international cinematographic production. 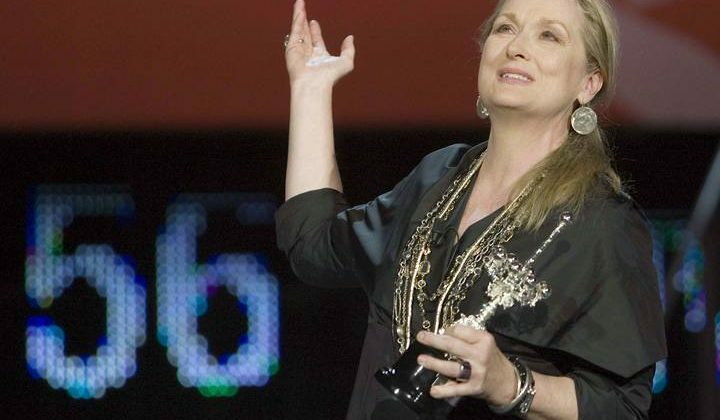 Some of them, such as actors Robert De Niro, Bette Davis, Meryl Streep or Dustin Hoffman, received the Donostia Award for their professional career and contribution to the history of cinema. Several productions have been produced in recent years in Euskadi to recreate some of their scenes. Its spectacular landscape, presided over by the blue of the Bay of Biscay, the green of the mountains and the brown of the wineries, has crossed borders through some films and series of known leftovers. Who has not heard, at least once, about this successful HBO series? The television production, based on the novel of the same name by George R. R. Martin, chose two locations in Euskadi for one of the most outstanding scenes of his last season. The municipality of Zumaia and the islet of Gaztelugatxe have united to become Rocadragón, the first place of Poniente that treads the character of Daenerys. The film by Emilio Martínez-Lázaro is one of the most watched Spanish productions in Spanish history. The plot, which narrates the misadventures of a young Andalusian who has made himself Basque during his visit to Euskadi, takes place in the fictional town of Argoitia. This location is formed by different points between Euskadi and Navarra: Getaria (Guipúzcoa), Zumaia (Guipúzcoa), and Leitza (Navarra). Getaria stands out for the breathtaking views that can be seen from the lighthouse of Mount San Antón. The town of Zumaia, where most of the scenes were filmed, has as its strong points the San Telmo’s hermitage, the palaces of Ubillos and Zumaia and the Gothic church of San Pedro . From Leitzia you can see in the film some of its bars, houses and its square. 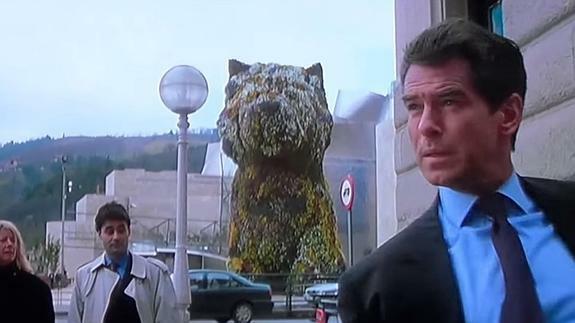 In the nineteenth film of the James Bond saga, the famous MI6 agent traveled to Bilbao. Incarnated by Pierce Brosnan, the character traveled the capital of Biscay to recover the funds of a friend of a great oil tycoon. On the agent’s tour around the city, the highlights of the Guggenheim Museum and its emblematic pet, Poppy. The Wachowski sisters, film directors like Matrix or series <Sense8 , directed this science fiction film. The film, starring actor Channing Tatum and actress Mila Kunis, focuses on the life of a Russian immigrant settling in the United States whose unique genetics make her the “chosen” to head a revolution that could change the balance of the universe. The Guggenheim Museum , the University of Deusto , the La Salve bridge and the Zubizuri footbridge make up the postapocalyptic scenes of this North American production. This film, directed by Jon Garaño and José Mari Goenaga broke records inside and outside our borders. Filmed entirely in Basque, it became the first film in this language to opt for Goya for Best Film . Also, it was the first film in Basque that Spain presented as Oscar nominee for the category of Best Non-English Speaking Film. Loreak uses flowers as a guiding thread capable of altering the lives of three women who feel again feelings that they believed were anchored in oblivion.